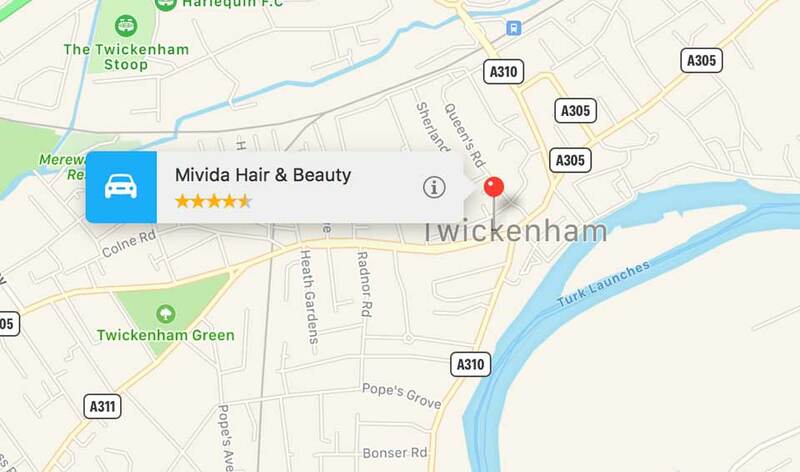 At Mivida Hair & Beauty you’ll find all the latest products and techniques, all designed to make you look and feel great. Choose from a wide range of treatments to create your perfect hair and beauty package.ttings. Not only do you get the best trained professionals ensuring that you look amazing, but all our products are high quality too.Products like Dermalogica, L’Oreal, GHD and OPI, with true quality that shows. Working Days/Hours: Mon - Fri 9:00 AM - 7:00 PM , Sat 9:00AM - 6:00PM , Sun / Closed. Mon – Fri 9:00 AM – 7:00 PM , Sat 9:00AM – 6:00PM , Sun / Closed.